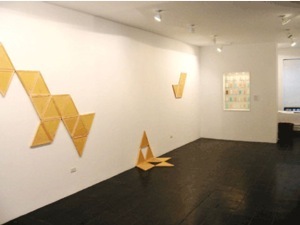 Swan Song consisted in a group of works on the subject of memory. The main work, entitled Endingness, had three components: one, a manifesto-like essay on the sujbject of mortality, memory and artmaking; a multi-panel series of wax tablets onto which the essay was written, and an orchestral composition that was performed on the night of the opening. 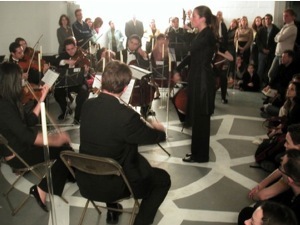 As a complement on that evening, the orchestra performed Haydn’s “Farewell” symphony, on which the performers are gradually asked to leave the stage until only one violin remains.